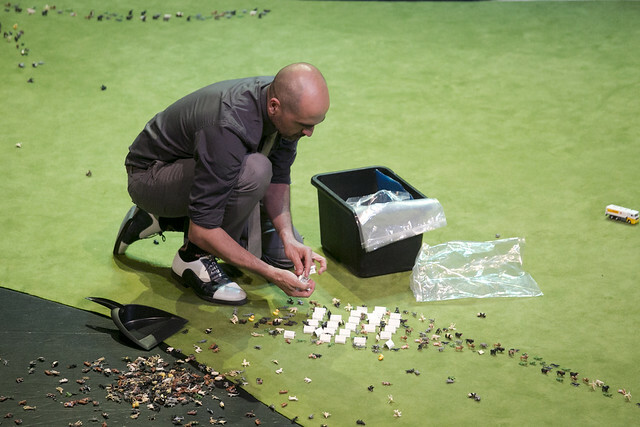 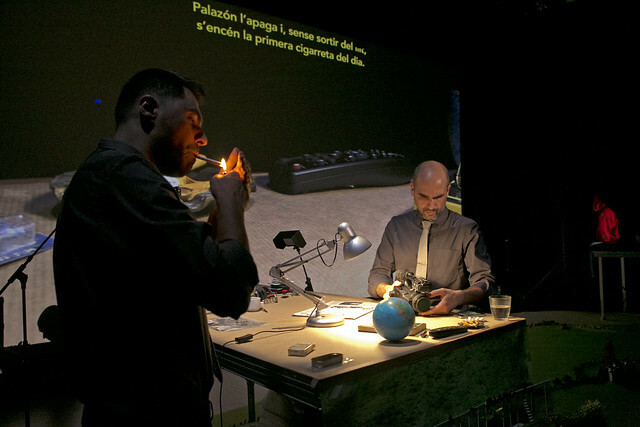 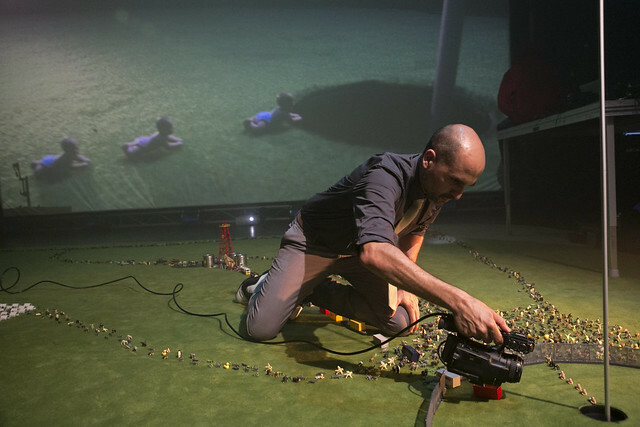 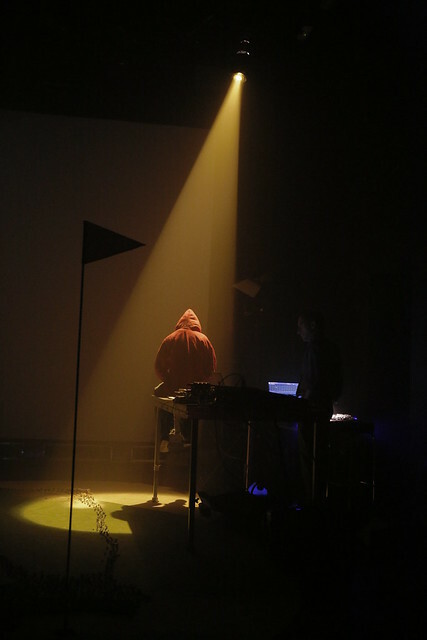 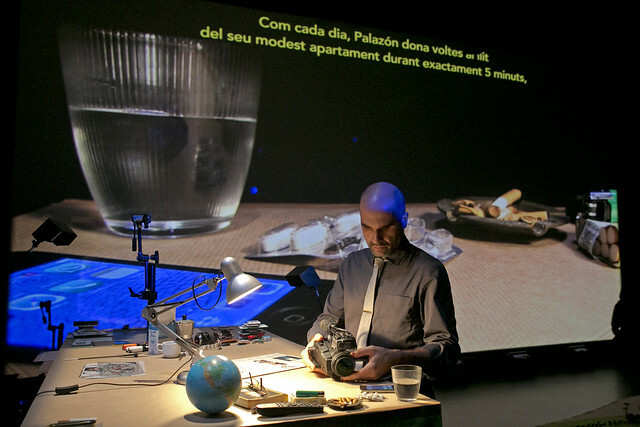 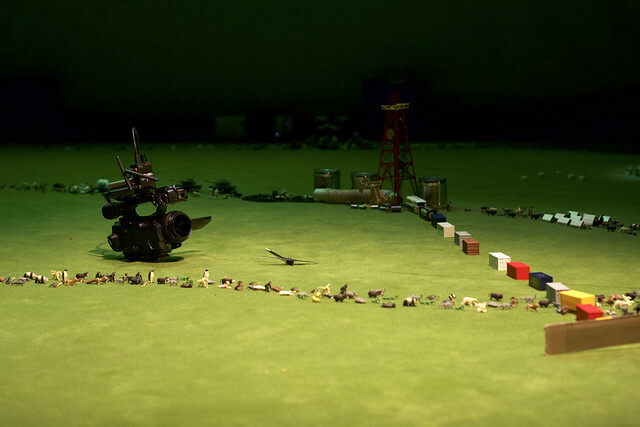 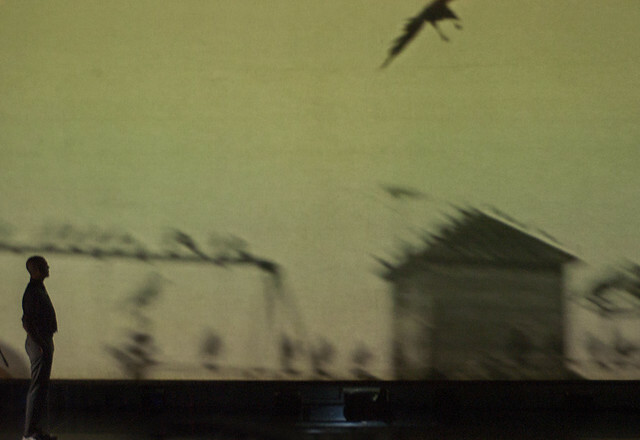 The starting point for the performance is an iconic photograph of a Spanish photographer, who photographed a golf course on the border between Spain and Morocco. 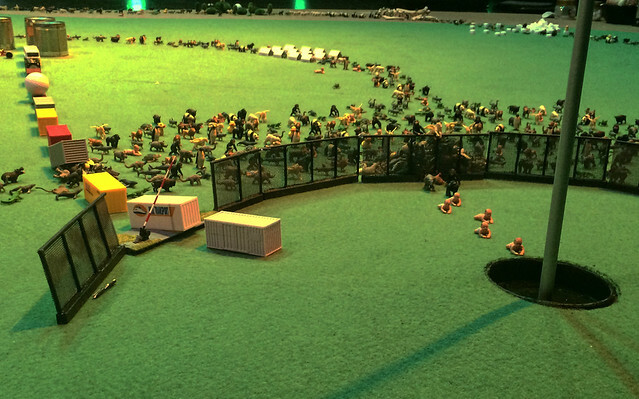 With in the background a high fence on which immigrants sit, who want to climb over the fence to reach Spain. 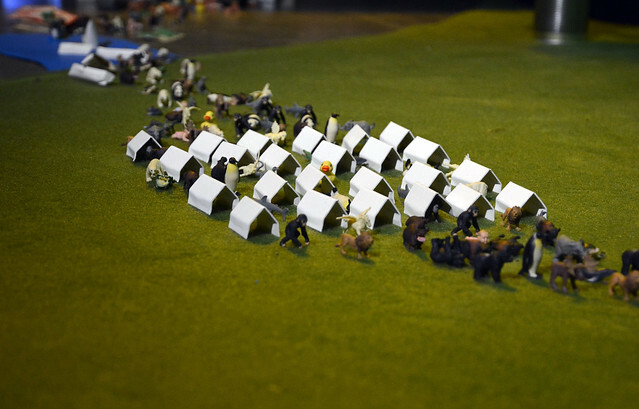 The photograph has been recreated as a model and with this scale model and video projections an ingenious representation is built up, in which the puzzle pieces slowly fall into each other. 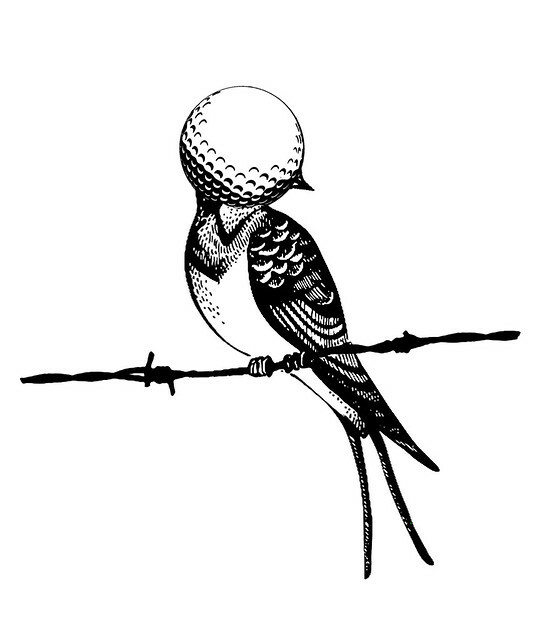 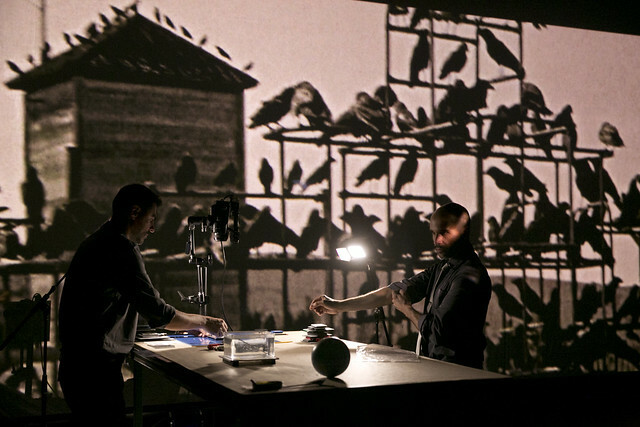 In 'Birdie' we also regularly see scenes from the film 'The Birds' by Hitchcock, a special addition to the project. 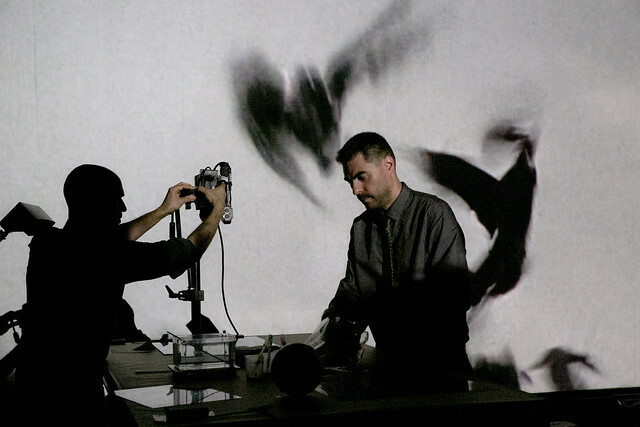 Because the birds from this thriller (who attack people) are used by Agrupación Señor Serrano as a striking symbol for the immigration flows of our time.